Universal Test Station & Functional Test Fixtures for Industry - EMC Technologies Inc. Many different industries utilize functional test fixtures to perform functional tests during the final phase of production. Sometimes referred to as a final “quality control test,” this is done to ensure that all of the specifications of the product are carried out effectively. The process of the custom functional test is determined by a simulation of the environment in which the manufacturer’s product is expected to operate. The electronic test industry works to develop functional test fixtures and universal test station solutions that can be used to check and correct any functionality issues to provide the desired results. Why Perform a Custom Functional Test? There are many industries that require the use of custom functional test fixtures due to the nature of the products that they develop. Some industries continually work with expanding technology, which cannot be evaluated or measured with “out of the box” testing. As a result, a custom functional test must be developed with engineers in the electronic test industry that will meet the needs of the manufacturer for effective evaluation. Most functional test fixtures consist of a device that communicates with a device under test (DUT), which can sometimes be referred to as equipment under test (EUT) or unit under test (UUT), depending on the industry. The DUT (as well as EUT or UUT) is a manufactured product that is undergoing testing. The testing can be performed during any phase of manufacture, as a final check after production is complete, or as an industry test after repairs have been made. Testing after repair or reconditioning the equipment is used to determine that performance is in accordance with the original manufacturer’s specifications. In addition to the use of a DUT, most functional test fixtures also include a power supply for the DUT, as well as any loads that are needed to make the DUT function correctly. For the purpose of accurate testing, a custom functional test will use consumer-specific connectors instead of engineered test points on the printed circuit board (PCB). Some industries rely on the ability to create custom solutions that will work with their specific product, especially when there are no standard options available in the electronic test industry. In most cases, custom functional test fixtures are very cost-effective, saving the company time and money in attempting to rig an existing universal test station to meet their needs. Depending on the products that the company manufactures, there will be different points within the production line where testing should be performed by operators. Test software helps to collect all of the necessary data and communicate with any external programmable instruments, including digital multimeters, communication ports, and I/O boards. The software is an important part of the custom functional test, as it also interfaces with the DUT to perform the functional testing on the product. The electronic test industry is a significant part of product development, serving many different industries to provide quality assurance and safety testing. 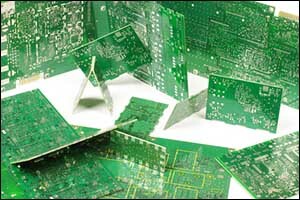 Consumer electronics, computers, and household products, as well as industrial equipment and advanced technology, rely on functional test fixtures for proper production. The functions of the DUT are tested by feeding input and examining the output. The software analyzes the results to determine the outcome of the DUT within the custom functional test. While the initial focus of EMC Technologies was limited to the functional test needs of the military, our client base evolved over the years to include a mix of military, defense contractors, military contractors, and commercial production clients. We design and manufacture wireless and wired functional test fixtures and interface equipment that is used to test PCBs and assemblies for a wide range of applications across many different industries. We are proud of the groundbreaking work that we have been able to achieve in the development of custom functional test solutions for our customers. Computer servers, medical equipment, networking devices, telecommunications and satellite TV/IP are just some of the projects we have been working on at EMC Technologies. The diverse knowledge and experience that we have gained over the years have enabled EMC Technologies to stay current with the latest advancements in the electronic test industry. Some of the specific areas of proficiency that we have gained include temperature, high speed, tight tolerance, test racks, and RF test fixtures. We stock a full line of mass interconnect test products, including receivers, kits, and blocks. We also sell a full range of functional test fixtures and products designed for VXI and PXI applications, utilizing Virginia Panel, Agilent, Teradyne, and other interface connectors as platforms. We supply our clients with full electrical and manufacturing support for a complete turn-key solution designed to satisfy all of your test interface needs. Contact our team by calling 508-672-0808 or use our online Contact Form to get started by providing some information about your electronic test industry needs. Our team of highly trained, certified, and skilled engineers can design a custom functional test solution according to your requirements and specifications. Call today for a FREE estimate for our services or to learn more about our services for the development of functional test fixtures.